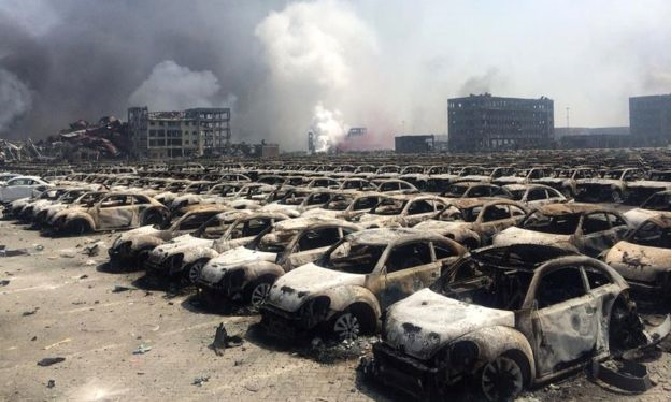 Buildings and hundreds of cars in the port area were destroyed. At least 44 people are now known to have died, and more than 500 injured, following two major explosions in China’s northern port city of Tianjin. Two blasts happened in a warehouse storing “dangerous and chemical goods” in the port area of the city.